Meet our guide at your Hotel lobby for your pick up from hotel transportation to the pier. Krabi Town / Klong Muang 8.00 am to 8.20 am , Ao Nang 8.20 am to 8.40 am. We after a short briefing on the tour and free soft drinks. The speedboat ride takes less than 45 minutes to Phi Phi island. For the first sightseeing at amazing snorkeling we arrive at bamboo island to also relax on perfect white sands. 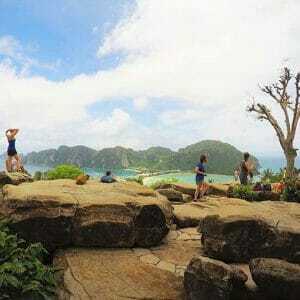 We will next visit Phi Phi island Viking cave to take great pictures and sightseeing the front of the cave. Visiting next Pi Leh Bay you will appreciate and enjow so much its crystal clear waters and its beautiful rocky cliffs. 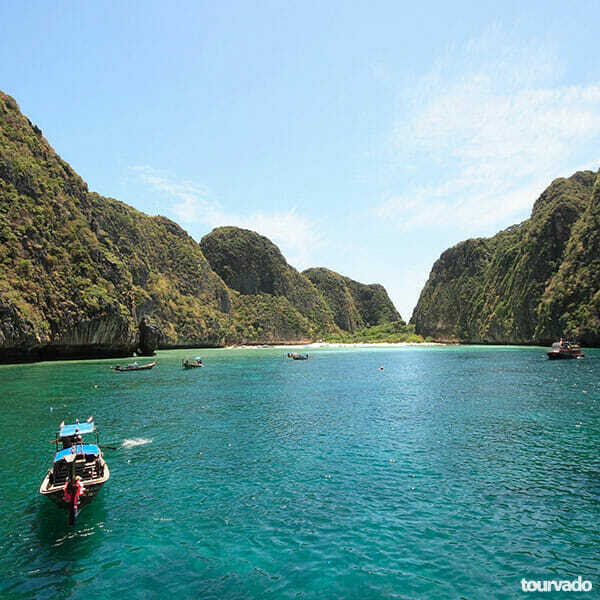 Arriving than at Maya Bay you will ne able to visit the location where the movie the Beach was filmed (Maya Bay sightseeing from 1st June to 30th September). We do a short stop to dream on this quiet amazing beach. 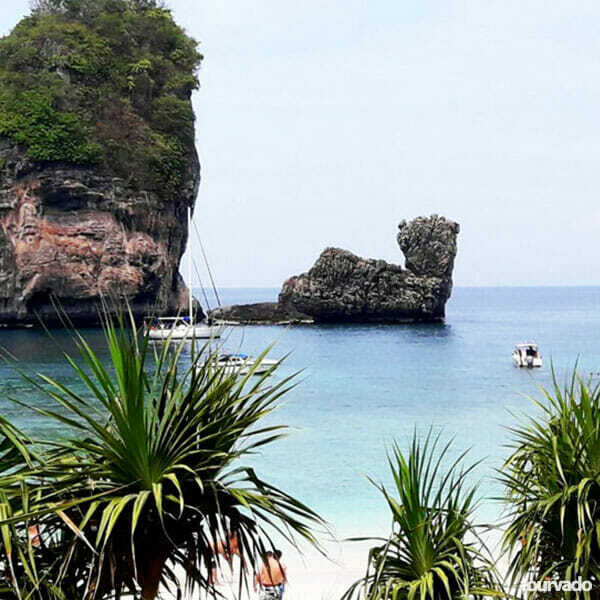 We will continue the tour visiting near Monkey beach and snorkeling nearby but also inside Loh Samah Bay surrounded by limestone cliffs. On Phi Phi Don we will enjoy a buffet lunch with many food styles. At the end of our explorations we depart from Phi Phi island back to the pier and organize your transfer back to the hotel. Krabi to Phi Phi Islands Tour by Speedboat is a wonderfull full day trip and the most popular activity in the region also for all Krabi tourists. 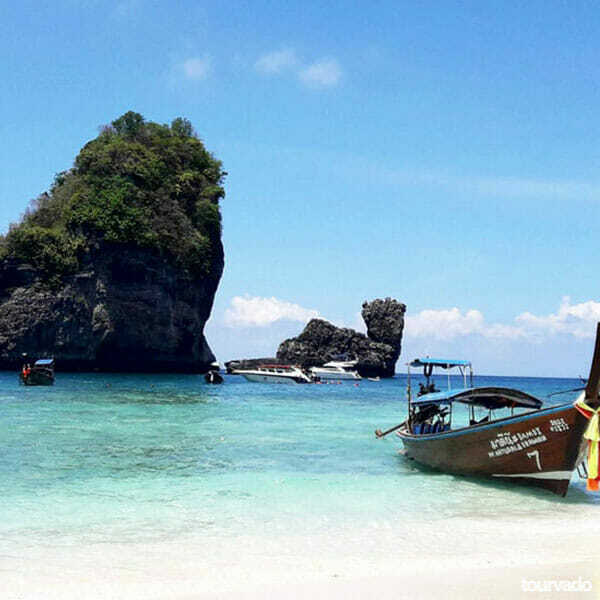 This tour is definitely the best way to reach Phi Phi islands from Krabi for your unforgettable day trip. 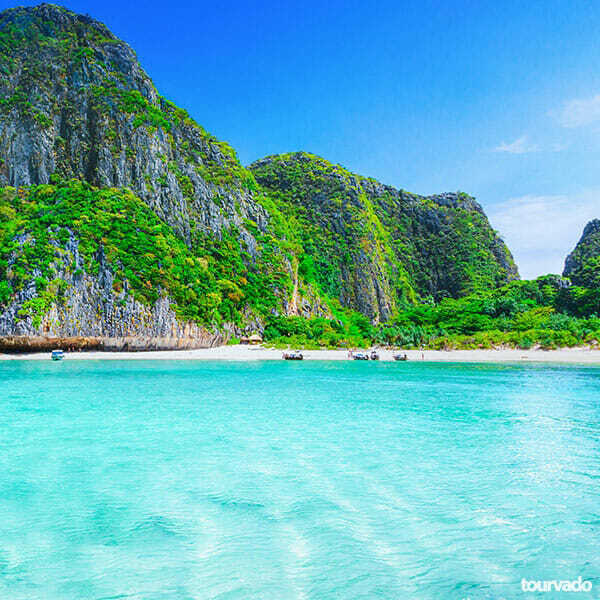 Visit Phi Phi Leh with sightseeing of Maya Bay which as you know featured in the movie “The Beach”. 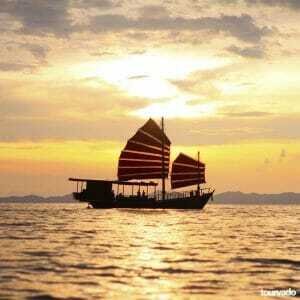 Enjoy every moment at best with this very organized Phi Phi island tour. Enjoy all included transports from you departing point to the pier and back (Free transfer from Krabi town and Ao Nang areas), a great buffet lunch on the beach restaurant, soft drinks at your disposal on board, coffee and tea and drinking water, national park fees included in the tour price! Bring a wonderful smile with your swimming suit, a light t-shirt, your beach towel and sunblock, your sunglasses, your camera and lets have lots of fun! Krabi to Phi Phi Islands Tour by Speedboat. Cancel up to 48 Hours in advance for a full refund. Krabi to Phi Phi Islands Tour by Speedboat – Free Pick-up Service meet at your Hotel in Krabi.